Tiktin Real Estate Investment Services (TREIS) announced the $42.95 million sale of the Heron Bay Office and Retail Portfolio in Coral Springs. The portfolio, located directly off the Sawgrass Expressway on Coral Ridge Drive, features Waterway Shoppes, a 40,258 SF retail center; Heron Bay III, a 45,344 SF Class A office building; and Heron Bay IV, a 45,383 SF Class A office building. The Sellers, RM-NA HB Three Office Building, LLC, RM-NA HB Four Office Building, LLC and RM-NA HB Waterway Shoppes, LLC sold the property to Asuman 57th Street, LLC for $42.95 million in an all cash deal. TREIS President and Broker Adam J. Tiktin and Investment Associate Alejandro Snyder represented the Sellers in the transaction. Closing took place September 26, 2018. The three buildings were constructed by the Sellers in 2006 and 2008 and are fully occupied with a mix of national, regional and local tenants. 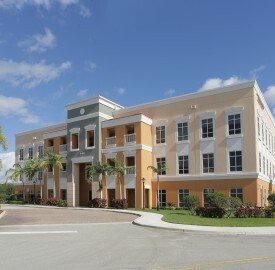 The properties are part of the City of Coral Springs’ 22-acre master-planned commercial development. The Heron Bay portfolio is located at 5810, 5830 and 6230-6240 Coral Ridge Drive in Coral Springs. The two office buildings benefit from direct visibility to the Sawgrass Expressway, which records traffic counts of 180,000 cars daily.